When you think of garlic and lemons, you might think about using them for flavoring fish or making a homemade vinaigrette. But these pungent, potent foods also have health-improving properties. One way in which garlic and lemon may be helpful is by increasing the health of your arteries. When the level of "bad" cholesterol is too high, it can build up on your artery walls. This decreases blood flow and can put you at risk for heart attack or stroke. While there are medications to decrease bad cholesterol, natural dietary changes, such as eating more garlic and lemon, may benefit you as well. 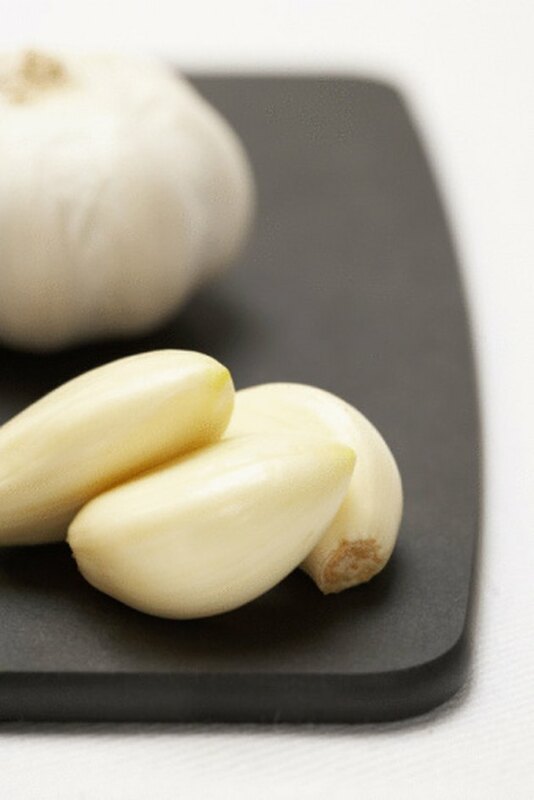 Include more garlic in your daily cooking, advises the Cebu Cardiovascular Center at Cebu Doctors' Hospital. This is the easiest and least expensive way to eat more garlic. Garlic is a savory addition to salad dressings, pasta, soup, stew, roasted meats, roasted vegetables and stir-fries. Try a garlic supplement. If you don't like the taste of garlic in food but want to benefit from garlic for your artery and heart health, garlic supplements can be useful. However, supplements are not regulated by the FDA, so their composition could be questionable. Speak to your doctor for advice regarding garlic supplements before trying them. Cook with lemon. Lemons are extremely high in vitamin C. The American Dietetic Association notes that vitamin C is a powerful antioxidant that fights damaging substances called free radicals and therefore helps protect the body from cardiovascular disease. Lemon juice can be used in salad dressings, marinades and sauces for chicken, pork and fish. Lemon rind can be grated into baked goods, salads and sauces, and a squeeze of lemon adds zing to hot or iced tea. Enjoy lemon as much as possible for greatest antioxidant benefit. Always consult your physician before beginning any new dietary regimens, including the use of supplements, to determine if they are safe and right for you. Are There Benefits of Garlic on Liver?